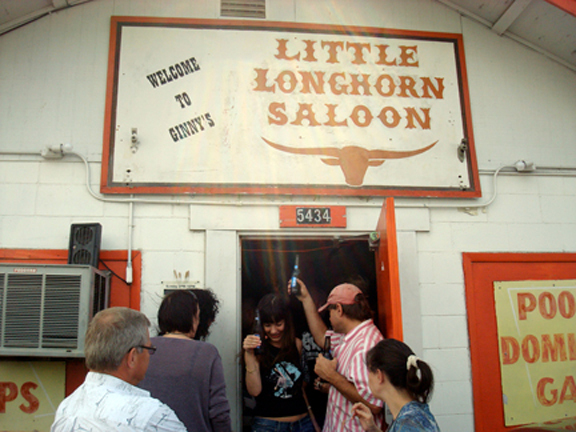 Above: Ginny’s Little Longhorn Saloon in Austin is one of the best honkytonks in Texas. We love it but that’s not where our February 25 tasting will be held. In the wake of last Wednesday’s Franciacorta Real Story Round Table/Tasting hosted by the Houston Sommelier Association (click for details on wine poured etc. ), we have just enough wine leftover to recreate a mini version of the event in Austin. Please note that SEATING IS EXTREMELY LIMITED and that we won’t have all of the wines that were poured in Houston on Feb. 4. There will be 9 estates represented, with 2 wines from each estate. Please contact me by clicking here to reserve your spot.